Donut Doodle is the healthy alternative for anyone craving tasty donuts. 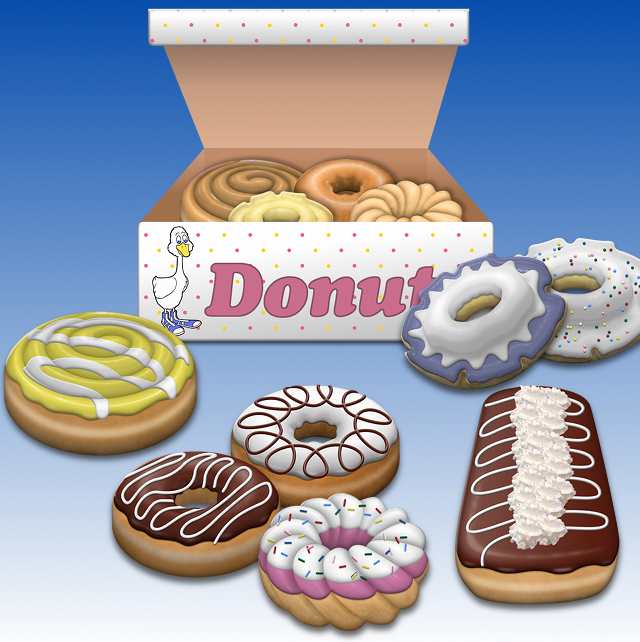 Become a donut master, and create realistic gourmet donuts from scratch on your iPhone or iPad. Crack the eggs, sift the flour, shake the salt, and pour in the vanilla. After cooking your confection in our splatter-free frier, cover it with frosting of any color in the rainbow. Each donut type has different frosting styles so you can add multiple layers. Finally, complete your masterpiece with nuts, sprinkles, candies, and decorations.